The Conservative party's split on Brexit continues to affect the process, former Treasury minister Lord Jim O'Neill has told the BBC. 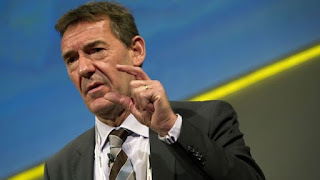 Lord O'Neill, who left government a year ago, said much of the "rationale for Brexit" had been to deal with that division. He also said the UK's negotiators needed to be "more realistic" in their talks with the European Union. The government said it was "working together to deliver Brexit". The UK was looking to achieve a new deep and special partnership with the European Union, a government spokesperson said. "We've entered these negotiations with a clear position, and a spirit of pragmatism, determined to deliver an orderly exit that allows us to grasp the opportunities of life outside the EU," the spokesperson added.